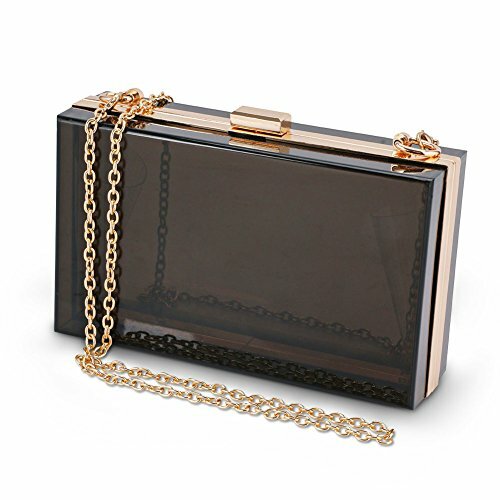 Our transparent box clutch bag has professional size as 7" x 4.3" x 1.9" and weighs only about 0.88 lbs. This lady vintage perspex bag is transparent and easy to use and has detachable golden chain shoulder strap can reach 23" length. EASY CARRY: This shoulder clutch purse is very easy to carry and adjust,and comes with detachable golden cross-body strap with drop size: 23"
If you have any questions about this product by SharPlus, contact us by completing and submitting the form below. If you are looking for a specif part number, please include it with your message.